Italy’s pledge to take in an undisclosed number of migrants as part of a deal struck between Malta and eight other EU member states could be scuppered by the country’s own Home Affairs Minister. “I don’t care if there are eight or 88, I’m not giving authorisation for anyone to enter Italy,” Matteo Salvini told Italian media moments after Prime Minister Joseph Muscat had announced the deal. “These sorts of decisions require consultation before they’re taken. I don’t understand why [Prime Minister Giuseppe] Conte rushed this,” Italian news outlet La Repubblica quoted him as saying. "This won't bring down the government, but I'll be demanding clarifications immediately". 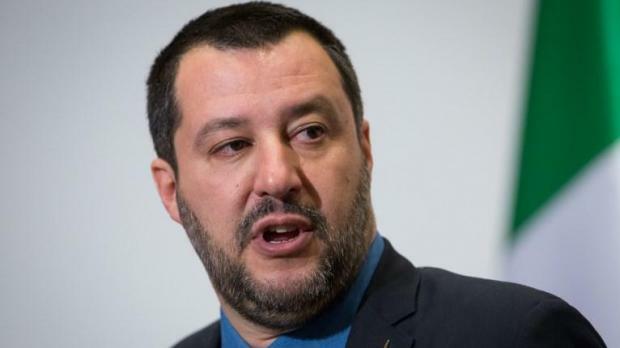 Mr Salvini, an outspoken far-right populist who has repeatedly insisted Italy’s ports are “closed” to all asylum seekers or rescue vessels, enjoys a higher approval rating among Italians than his other fellow politicians. Tensions within Italy’s delicate coalition government have been exacerbated by this latest migration impasse, however. Prime Minister Giuseppe Conte – installed as a mediating figure between the leaders of Italy’s two ruling parties – had publicly said that he felt there were grounds to allow the 49 people stuck aboard two NGO boats into the country. “This is an exceptional case,” Mr Conte had told national television, making his confrontation with Mr Salvini, who is responsible for Italy’s ports, public. “If we won’t allow them to dock, I’ll fetch them by plane,” the Prime Minister said. Risveglio con #SalviniNonMollare primo nei trend Twitter! ???? The combative Salvini is not given to exceptions, however. “I’ll never change my mind,” he told voters on Facebook. “Doing so would mean reopening our doors to human trafficking. Those who want to help should stop smugglers and NGOs, whose presence helps smugglers do their dirty work”. He followed that up with a tweet in which he insisted that “Io non mollo” [I won’t give in]. Within hours, #SalviniNonMollare [Salvini don’t give in] was the top trending hashtag in Italy. Correction 4.50pm An earlier version stated that the relocation deal included nine, rather than eight, member states.